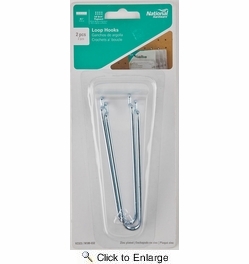 National N180-032 Double Loop 4-1/2" Peg Hook - 2 Per Package (V2323). Designed to hang a variety of tools from pegboard. 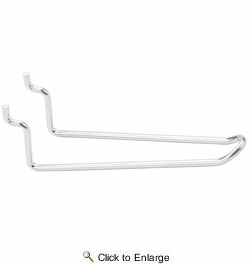 For 1/8" and 1/4" pegboard. Easy, self-installation. Steel material.